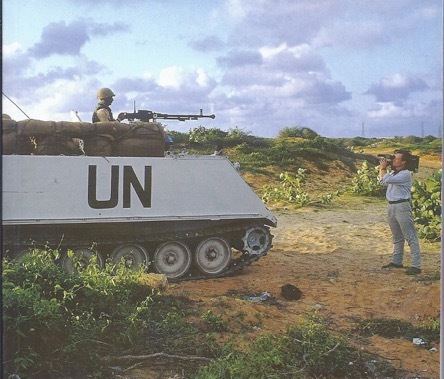 When the United Nations launched its first peacekeeping operations in the 1950s, the concept of using third party military units to create conditions for peace was in its infancy. Inevitably, media reporting of those first peace operations was scanty. Public impressions of these efforts at conflict resolution were covered by relatively few print media and only some television news programs. However, conflicts in the 1990s in the Balkans, in Somalia and in Rwanda occurred nearly simultaneously and attracted 24/7 instant news coverage around the world. UN peace operations which were enmeshed in these new wars were thus propelled into the limelight. The media was systematically used by parties to the conflict to propagate hatred and violence, putting international peacekeepers increasingly on the defensive. Consequently, UN operations deployed in these conflicts received much unfavorable publicity and were, in more ways than one, caught in the crossfire (Lehmann 1999, 2009; Alleyne 2003; Loewenberg 2006; Lindley 2007; Abusaad 2008; Egleder 2012). Finally, the United Nations itself had to recognize the power of communication as a critical support for its peacekeeping operations. Beginning in 2000 a new peacekeeping doctrine evolved following the issue of the Panel on United Nations Peace Operations – the so-called “Brahimi Report” – which also addressed the question of public information capacity. Simultaneously, substantial reforms of the UN’s own Information Department (DPI) were undertaken by senior management under Secretary-General Kofi Annan. These reforms resulted in a series of policy papers and guidance notes which established a strategic approach to managing information during peacekeeping and post-conflict peacebuilding. Throughout this process, which lasted several years, strategic communication was the declared goal of the UN in which the concept of peace communication was implicit rather than explicit. 1. The UN operation in Kosovo: “Peace Journalism” at work? 3. Sexual abuse and exploitation by UN peacekeepers in the Congo. The comparative brevity of this article will not allow a comprehensive analysis of the public dimensions of those peacekeeping operations. By selecting critical incidents or crises for the missions concerned we will look at how these challenging situations were handled, and to what effect. Many diplomats and others involved in the mediation of international conflicts tend to be reluctant to publicize details of their work and may prefer to stay entirely out of the media’s limelight. While this approach has its merits during some negotiations, particularly in the early stages, in today’s 24/7 information environment nothing stays confidential for long. It only is a matter of time before information leaks, sometimes at the initiative of the parties themselves. Increasingly, mediators find that an active media strategy becomes an essential element of their work. Such a public-information strategy will aim to build public support for the peace process, shape the public image of the international negotiator and avoid negative fallout from uncontrolled and misleading public exposure. In 21st-century conflicts, there are not only professional reporters covering a conflict or emerging crisis, but countless interested observers. Some may be citizens ‘bearing witness’, who can create a ‘story’ through a short message, photo or video posted on the internet. Such news items can be picked up by the traditional media and may rapidly take on a life of their own. (1) For mediators it thus becomes vital to monitor relevant information channels and attempt to manage the news flow about their work in a proactive way. Seeking the ‘information high ground’, as in defining and enunciating the basic issues in the negotiations and avoiding unnecessary and contentious details, ought to become one of the goals of all active mediators. Peacehawks is founded on the premise that international peace and security can and ought to be enforced just as are state and local laws for the protection of a democratic society - in other words, international peace with teeth and talons.